Yesterday we saw the criminal indictment of Greg Craig, whose alleged work as an unregistered foreign agent in relation to Paul Manafort was initially uncovered by Special Counsel Robert Mueller, who then handed the case off last year to permanent federal prosecutors. This alone made clear that William Barr was full of it when he claimed that there were no more indictments coming from the Mueller probe. Now today we have even more evidence to this effect. 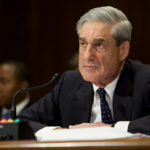 Robert Mueller also discovered during his investigation that a political operative named Sam Patten – who was also connected to Paul Manafort – helped a foreign oligarch funnel money into the Donald Trump inauguration committee. Mueller then handed that case off as well. Patten opted to cut a plea deal, and today he was finally sentenced in that deal. Patten was merely given probation, even though he pleaded guilty to charges that could have carried a multi-year prison sentence. So who all did Patten sell out? This sentence from CNN tells us what we need to know: “Some details about how Patten helped Mueller’s team remain under seal.” The only reason to keep Patten’s cooperation under seal is that it involves ongoing criminal cases. So who’s still being targeted here? That’s anyone’s guess. However, there are a few clues. First, Sam Patten worked extensively with confirmed former (and alleged current) Russian spy Konstantin Kilimnik, who was indicted by Robert Mueller. Kilimnik is in the wind and will likely never be arrested or tried. However, Patten surely has knowledge of which additional American political operatives – if any – were also working with Kilimnik. In addition, Patten may have knowledge about additional foreign donations to the Trump inaugural, which is reportedly under federal investigation by the SDNY. But the bottom line is that there are clearly more Mueller-spawned criminal cases ongoing, despite Barr’s claims.